Mythbusting Part 3: Do Musicians Make Any Money from Selling Recordings? Last week, we launched a series of blog posts that are using Artist Revenue Streams to examine some of the common assumptions about musicians and income. In part 3, we’re looking at the assumption that, in a post-Napster world, musicians don’t make any money from selling music. As with the other perceptions, there’s a grain of truth in this, based on the simple fact that income from the sales of sound recordings in the traditional sense – sales of physical goods in retail stores – has changed drasticallly in the past ten years. There are fewer retail stores, more online ways to get music for free and, according to the RIAA’s data, a steady decline in the dollar amount of CDs shipped from 2004 to 2010. But that’s not the entire picture. Ever wonder what the living wage is for a jazz band leader living in London? Or how about a cello player in an orchestra? Many of these musician gigs don’t win a popularity contest when it comes to the public’s perception of the music industry. There are tons of bedroom producers and garage bands that can generate a short-lived buzz, but it takes years of practice and formal education to develop a stable stream of income for the average musician. 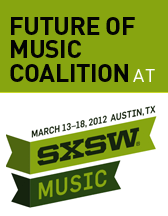 Luckily, they’ve got the Future of Music Coalition looking out for them. Everyone is always talking about the artists’ team, the critical support structure that helps spread the music and manage fanbases. But when it comes to successful artists, the most important and well-paid members are lawyers and accountants - then the webmaster, booking agent, manager, and everyone else. Musicians are musicians because they play music, not because they love accounting or managing Facebook pages. But in the current climate, artists are now forced to play more roles than ever - and their art is often suffering as a result.